I love Ghanaian food, especially groundnut and palm-nut soups, kontomire stew and jollof rice. The flavors are always unique, and they accommodate a wide variety of meat, fish and poultry. As much as I enjoy these meals, I always pause at the thought of cooking my favorite Ghanaian meals, particularly on weeknights when it’s just impossible to dedicate two hours to cooking. The solution? Cook in bulk on weekends, refrigerate and eat the same reheated meals all week! Alternatively, just grab some street food on your way home or settle for a snack for dinner. Problem solved…right? For us foodies who love fresh, healthy meals on the daily, we quickly become unhappy with this cook-refrigerate-reheat-eat lifestyle. That’s precisely why we created Homecho – Ghana’s first meal kit service that allows you to not only eat home-cooked healthy foods, but also to try new recipes without losing precious time. In case you missed it, sitting is the new smoking. Young professionals are already struggling with sedentary lifestyles which could cause serious chronic health problems in a few years.While time may be a scarce resource for young professionals and busy people, their health should not suffer for it. Commercial food is great, but nobody is checking how much carbohydrates or salt a plate of food contains as long as the food is “tasty”. So what do you do if you just don’t have the time to cook delicious and healthy meals which are so vital to our existence? Homecho meal kits! Our kits not only give you the opportunity to work on improving your health, but also help make home cooking convenient and fun. At Homecho we seek to honour one mission: to make home cooking healthy, easy and convenient. Our meal kits are designed for “busy people” who still appreciate fresh healthy meals and can be ordered in three easy steps. First, you choose from carefully designed recipes online via the Homecho website. Then, you complete a simple form with your address and phone number, and finally proceed to checkout and pay online. You’ll receive an automated email confirming your order, and a phone call from one of our team members to confirm your delivery address if it’s unclear. 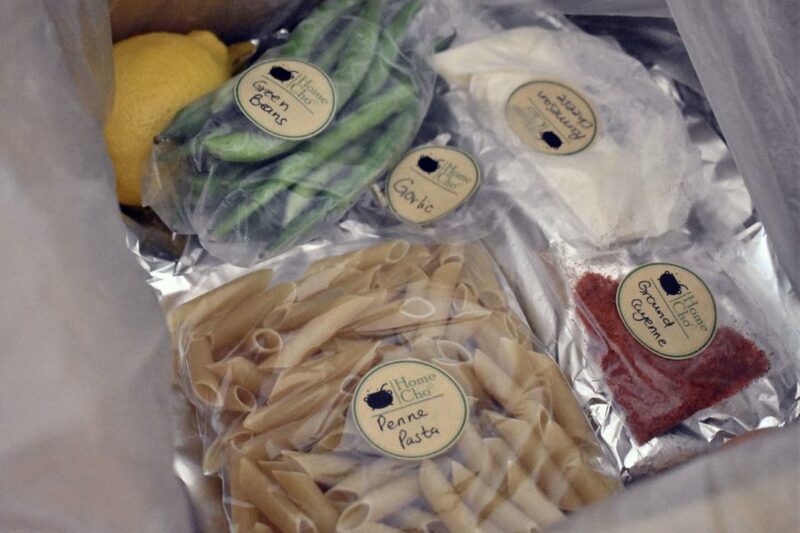 The rest of the magic happens behind closed doors till your refrigerated box is delivered to your door-step with your recipe card and neatly packaged, vacuum-sealed pre-portioned ingredients. The recipe card contains our easy step-by-step instructions from ingredient prepping to garnishing your cooked plated meal. It also provides information on how long the meal takes to cook and the total calories per serving curated by our culinary team of foodie nutritionists and public health experts. Going the extra step to provide such information is something we pride ourselves on, alongside keeping our meal kit menu fresh with exciting new recipes each month. Homecho was introduced to the Ghanaian market in February 2017, and has since grown its reputation as one of Ghana’s most innovative food service business. Introducing a new business concept to a virgin market is challenging, but not impossible. It’s important to be realistic with your environment and target market, and focus on the problem(s) you set out to solve. Market surveys are an important part of starting any business because of the invaluable information you get which can help you be prepared with what’s ahead. Months before Homecho was launched, 204 young professionals in Accra were surveyed on what they deemed important with a food service. Health was first, followed by convenience, then cost. About 95% were concerned about the quality of ingredients in food, 92% were interested in the nutritional and caloric content of the meals they eat, and 93% were concerned with how long meals take to cook. More than 46% cooked their own meals and about 84% were willing to spend no more than 20-60 minutes cooking a meal. Through this survey, we moved from anecdotal evidence to a concrete proof that Homecho solves a need. 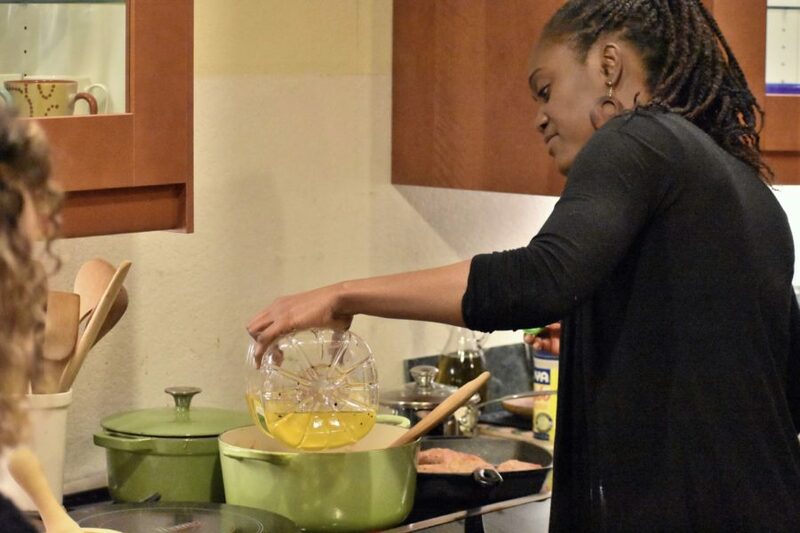 While a novelty in Ghana, the meal kit concept is not new. 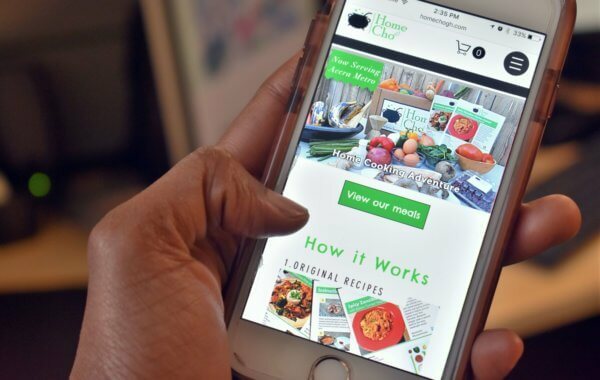 Blue Apron in the USA and Hello Fresh in the UK are giants in the field, but Homecho takes this concept a step further. In addition to creating delicious and innovative meals that combine both local and continental ingredients, the culinary team at Homecho is also dedicated to recreating some of Ghana’s favorite local meals to make them healthier and reduce the cooking to less time. For example, Homecho’s May recipes featured our signature nkatie (groundnut) chicken sauce with purple cabbage served with carro-rice, which cooked in 40 minutes and had only 770 calories. What made this recipe a win with Homecho’s customers was the use of coconut oil and purple cabbage, which introduced a unique flavor to groundnut paste, very different from the traditional groundnut soup which takes close to two hours to make. 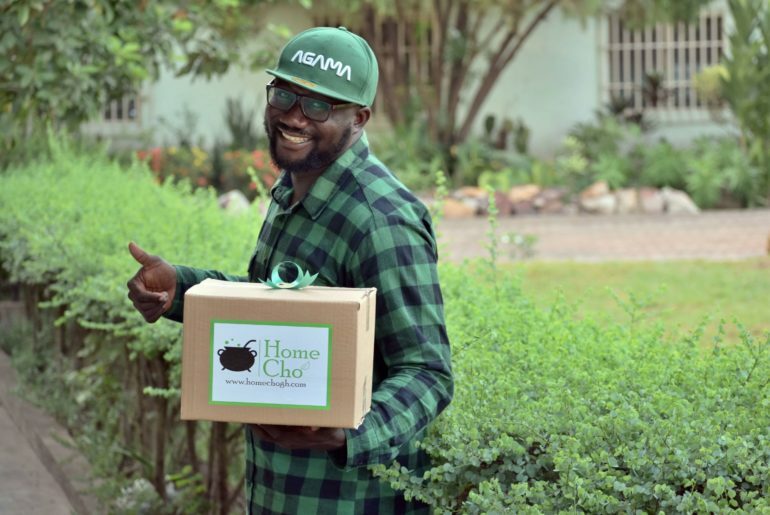 Similarly, some of Homecho’s most exciting recipes have featured unpopular healthy ingredients grown in Ghana, with the aim to introducing them into mainstream. After determining whether there is need for a product or service, entrepreneurs must determine which of their target consumers are actually interested in solving their needs. This is where marketing comes in. Social media is beneficial in diverse ways, but the true challenge to many innovative startups in Ghana is infrastructure. Regardless of the successes, setting up Homecho has not been all rosy.Our market survey indicated that only 34% of potential customers were comfortable with online payment. Despite this information, Homecho rolled out a solely online payment system. This was to enable orders to be automated and trackable for the benefit of both the customer and the provider. That said, mistrust in online payment systems in Ghana cannot be ignored, irrespective of the benefits it affords a customer. Other challenges such as lack of courier reliability, poor address systems and low-speed internet pose a challenge to every food startup that aims to go beyond the traditional ways of doing business. Here is where the government comes in. Starting a business takes boldness, but most importantly, it should be aimed at a true need. Sometimes, not everyone realizes how better their lives can be till you point out their needs. Hello iPhone! Even better, show them how to solve that need. Homecho is here to stay, and the meal kit service is just the first of a line of innovative solutions that Homecho will be bringing to everyone who appreciates fresh healthy home-cooked meals. Till then, visit our website to sample this month’s delicious offerings. Cynthia Afedi Hazel is an avid foodie, traveller, and public health professional with expertise in behavioral health science, digital health technology, and economic evaluations. 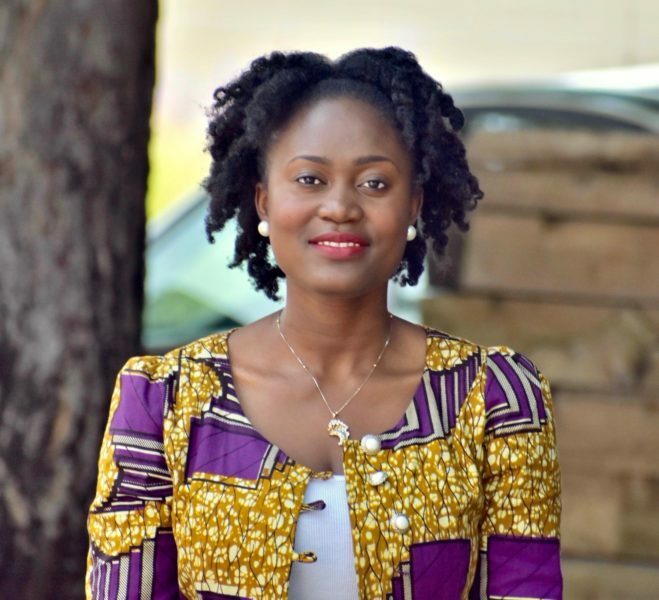 She holds a BSc in Biochemistry and Biotechnology from KNUST and a MSc in Public Health Policy from Durham University and is currently a Doctor of Public Health candidate at the University of Colorado Denver, where she has helped to develop various technology-based behavioral health programs including an App to help pregnant women eat healthy and return to pre-pregnancy weight after birth.